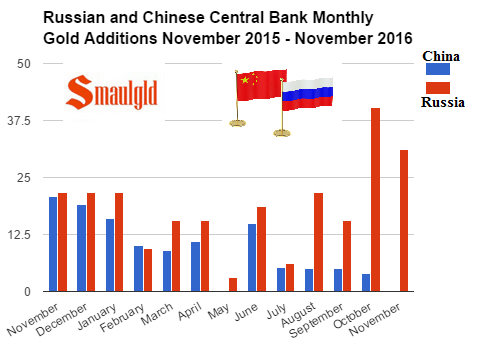 Through April 2018, the Central Bank of Russia has added 2.3 million ounces or approximately 71.54 tons of gold. 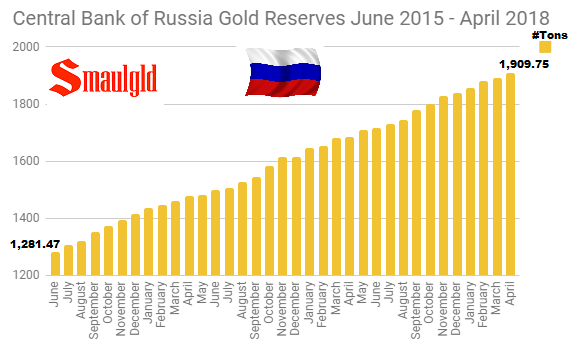 The Central bank of Russia has added about 628 tons of gold to her reserves from June 2015 – to March 2018. 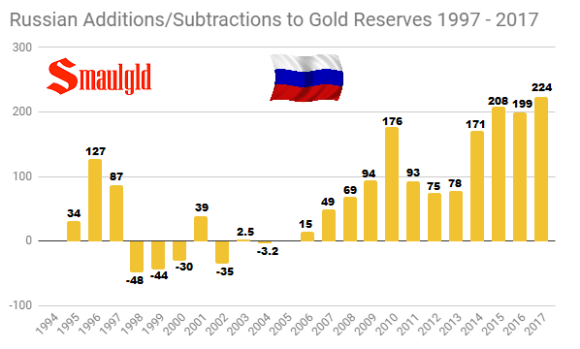 Since 2009, Russia has added over 1,100 tons of gold to its reserves - more than China who added about 775 tons during the same time period. 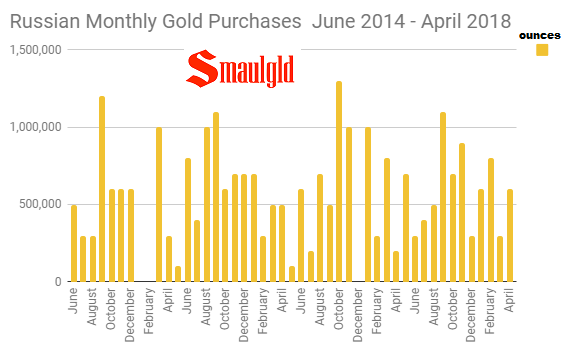 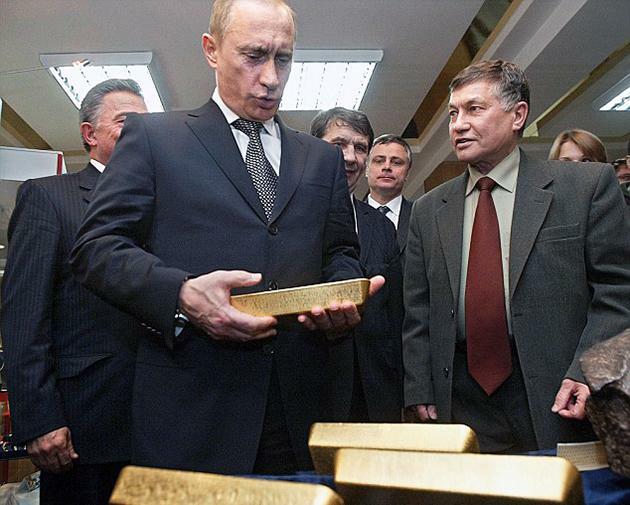 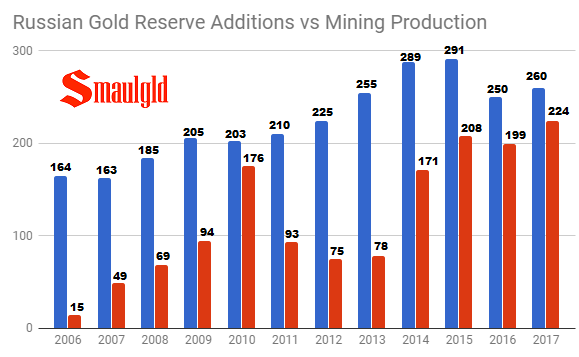 Increasingly, Russia has been buying up more of their gold mining production, in effect converting rubles into gold. 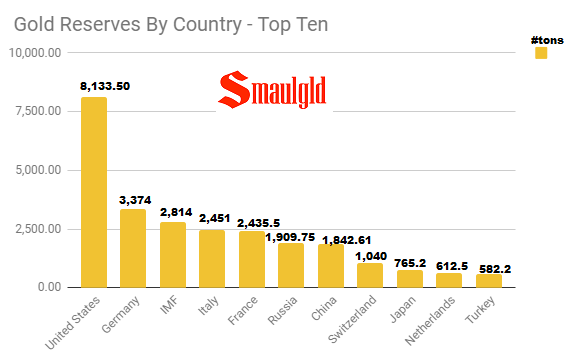 Gold represented about $81.146 billion of Russia’s overall reserves at the end of April 2018, or about 17.6%. 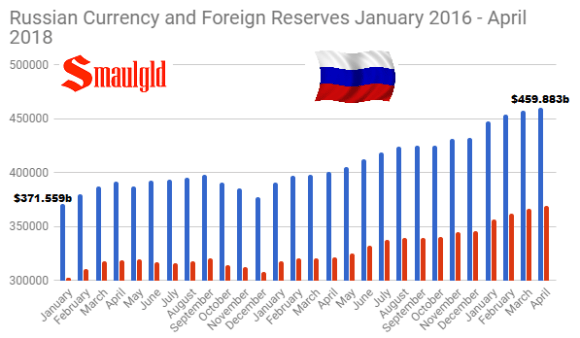 Overall Russian Central Bank foreign reserves grew approximately 24% since January 2016. 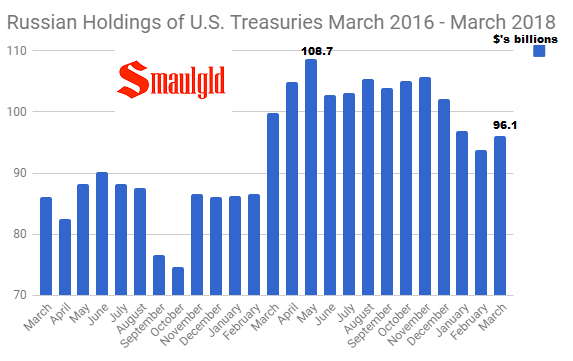 As of March 2018, Russia held $96.1 billion in U.S. Treasury Bonds down from $131.8 billion in January 2014 but up from $66.5 billion in April 2015.